You’ve got crazy-smart and overexcitable kids like mine, right? I’ll bet there are some days that you’re just trying to get through and need them to be actively involved in something you didn’t have to dream up. I need that… often. And that, my friends, is why I am in love with giving my kids subscriptions to cool activity boxes for holiday and birthday presents. Buying gifts for gifted kids can be expensive and challenging. 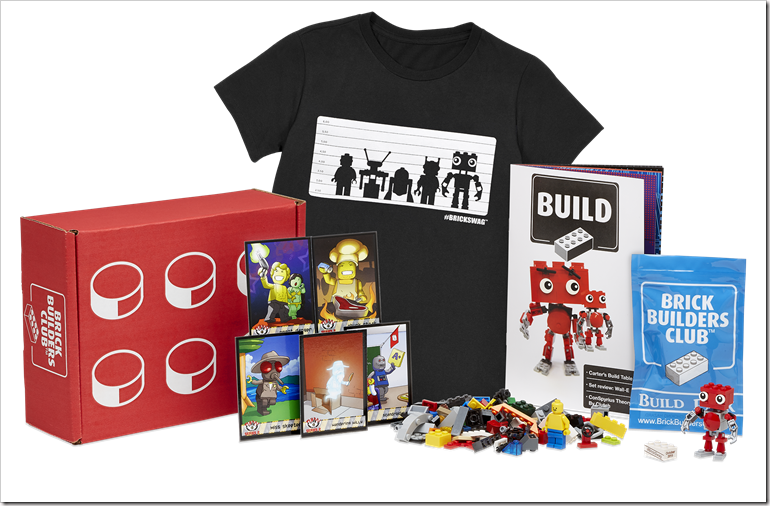 subscription boxes keep the fun coming all year long. 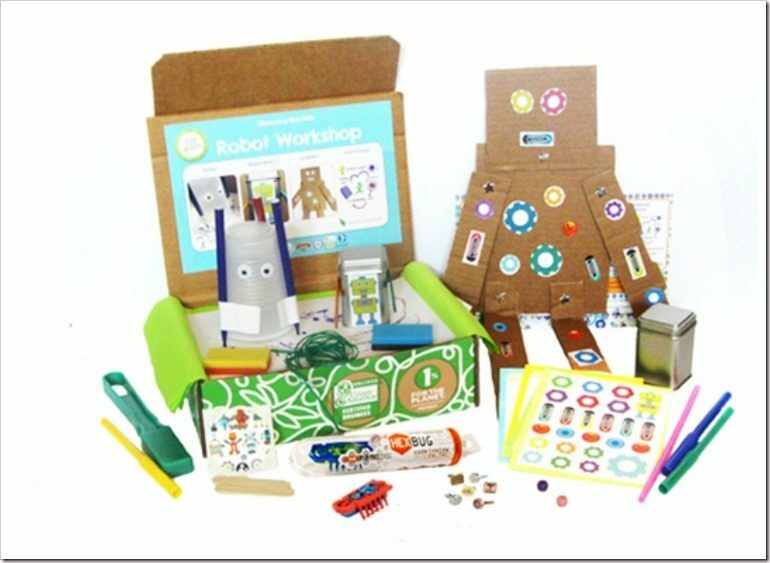 STEM, or science, technology, engineering, and mathematics, is a popular category in gift-giving and play right now, which is totally okay with me. I love science and technology. And so do my kids. These STEM boxes will knock your socks off. My son loves this kit. He’s 13, very techy, and loves figuring things out. 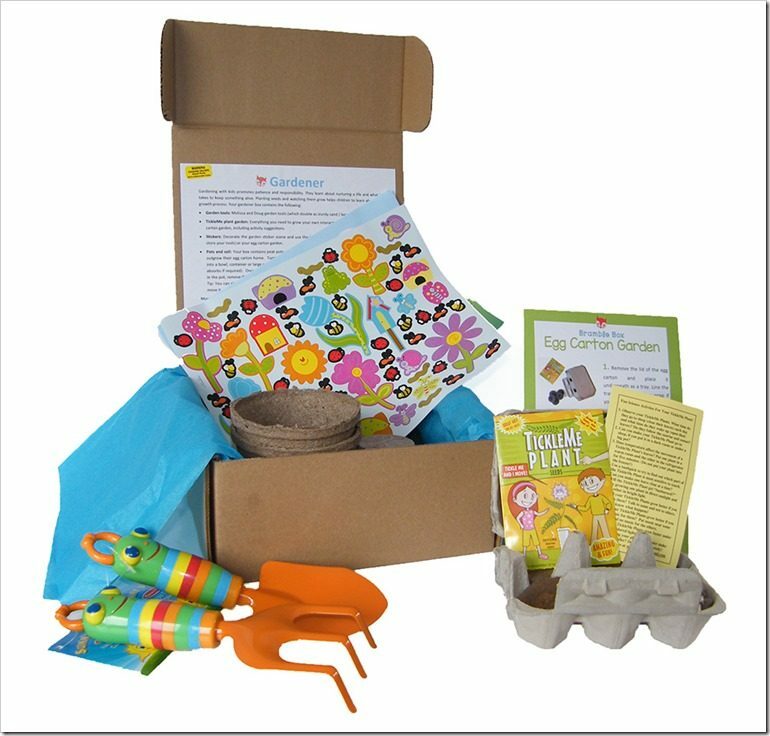 The description of Tinker Crate suggests it is best for kids 9-16 (and older), and I think middle schoolers will love getting this in the mail each month. One of my kids’ favorite mail-day surprises of them all! 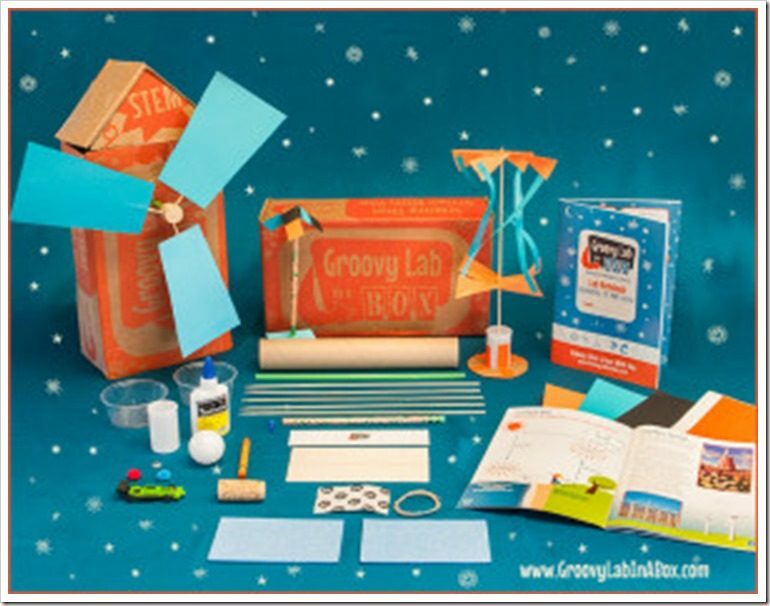 Groovy Lab in a Box comes with everything needed to do a bunch of themed science experiments and activities – right away. I love that I don’t have to prepare anything for them and that they can work together to do them all independently. 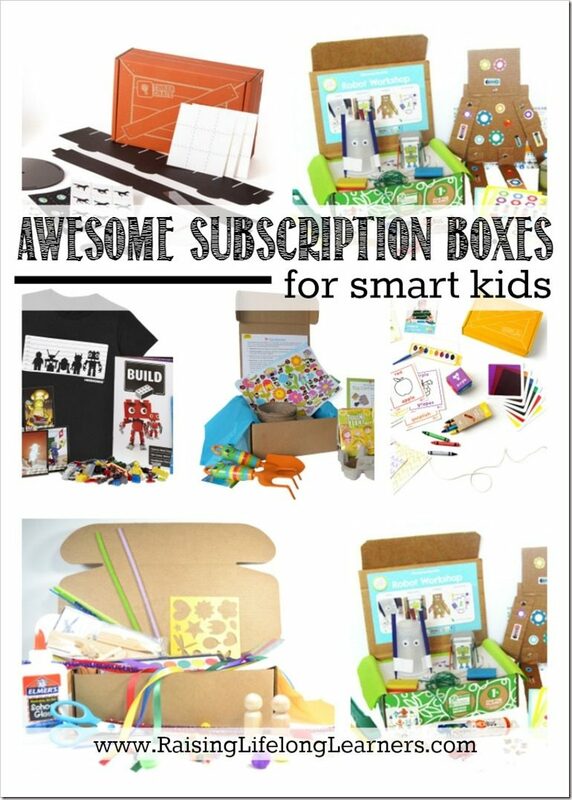 I’m just learning about this subscription, and am so excited to have the chance to try it out. 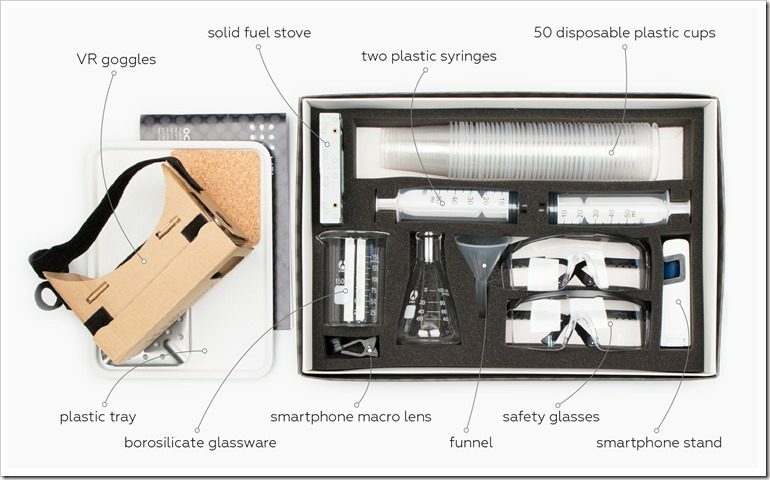 It’s on the way to us and I know a certain 13 year old who is going to be thrilled to open up his starter kit and begin tackling the chemistry experiments that will be coming each month. This looks so well done, and I love that it is parent-owned. We recently tried out Brick Swag and enjoyed it. It’s a fun novelty for a Lego-lover, and an exciting treat to get in the mail. If you’re a purist, though, know that the bricks are a mixture of Lego and other brands that are all compatible. I subscribe to several of these subscription boxes, rotating the ones we sign up for each year. My kids love crafting and sometimes I just don’t want to come up with new ideas. It’s great to have pretend play, hands-on fun and learning, and craft activities on hand to pull out anytime they want something new to do. We’ve subscribed to Kiwi Crate for years – I absolutely love it. My girls (6 and 8) look forward to pulling it out and creating with it. The activities have ranged from making a clay bug tic-tac-toe game to fossils to creating an indoor mini golf course. It’s loads of fun each month. I’m looking forward to getting our first Doodle Crate this month. My eight year old is ready to move on from her Kiwi Crate (as she’s had it every year for the last three), and try the Doodle Crate. She’s a maker, and this is right up her alley. Every Koala Crate is chock-full of play-and-learn activities that engage the natural curiosity and creativity of preschoolers, and it’s one our almost-three year old is getting for Christmas this year. The activities are top-notch. My littles animal lover adored the time she spent with Junior Explorers. She especially liked that it had both an online and offline component. I loved that it taught her about habitats and biomes. 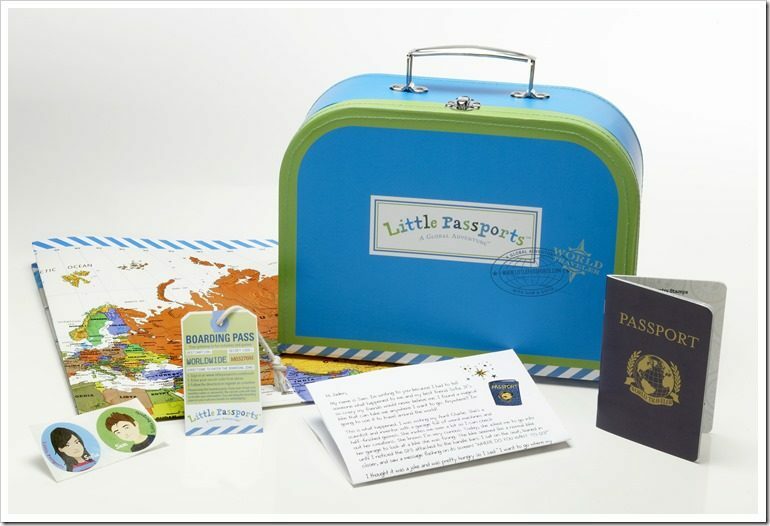 We just received our first Little Passports kit in the mail, and the kids were really excited about the story. A scooter that instantly transports kids to any country they feel like exploring is bound to be a fun way to learn a little geography and have fun doing it. This is one we haven’t tried yet, but plan to once one of our other subscriptions run out because it looks like a lot of fun. I love how the Green Kid Crafts crew integrates art with their science activities. I love this one – a lot! 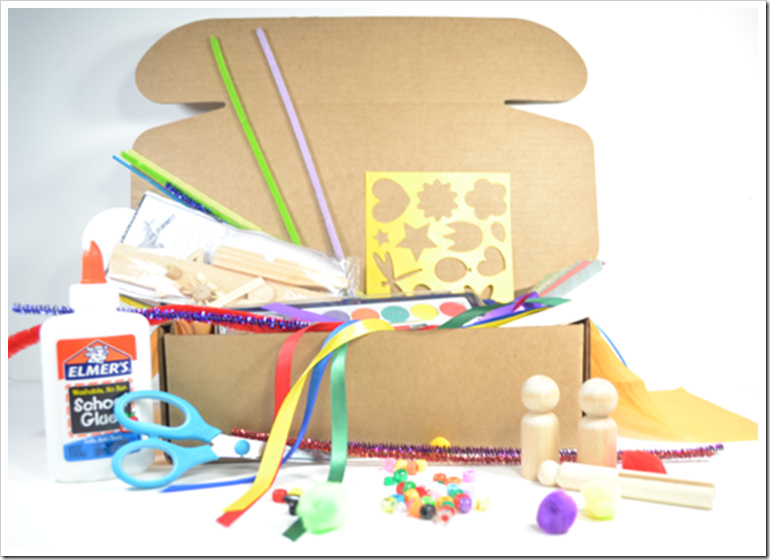 The materials in the Bramble Box are carefully selected to be versatile, and allow kids to extend and elaborate on their play. 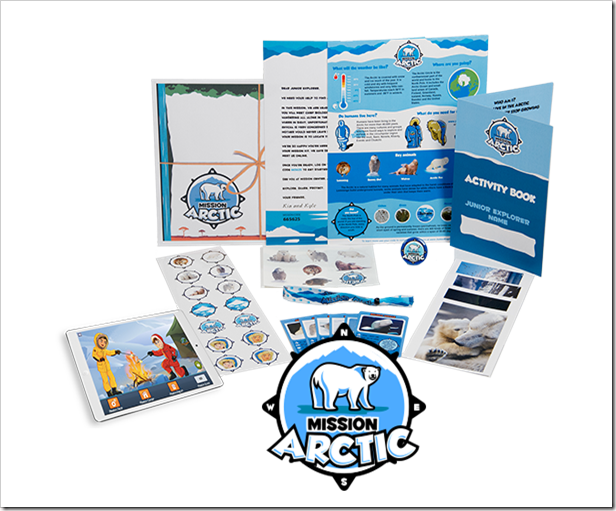 Activity ideas are included for additional inspiration. 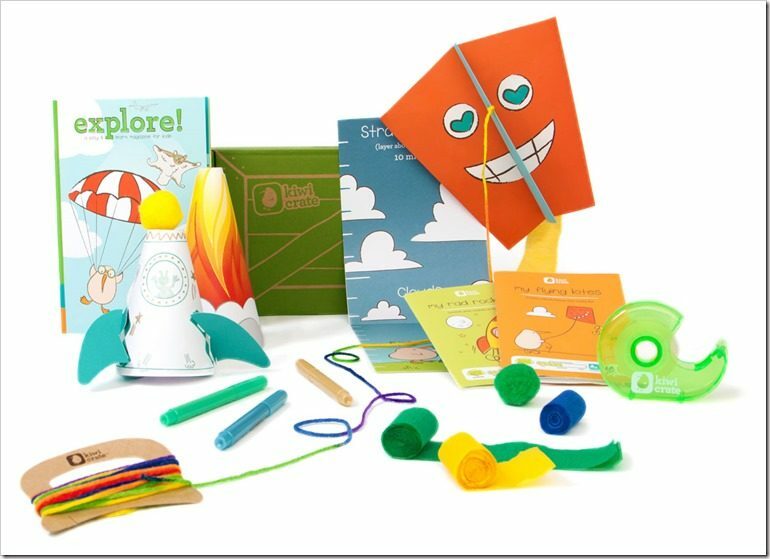 Each kit is designed to nurture the imagination and allow children to explore the world around them. 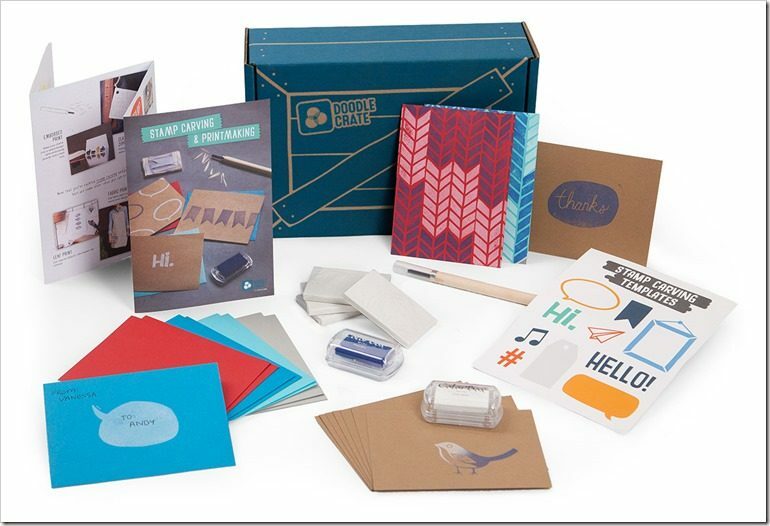 A new theme – like post office, detective, scientist, florist or community helper – is chosen every month. 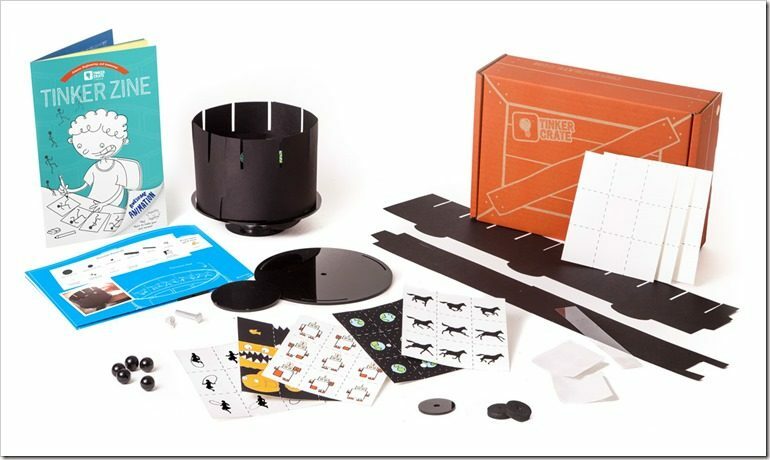 There are lots of fun projects contained in these boxes, designed to spark kids’ creativity and imaginative thinking, while throwing some problem solving and experimenting I too. I really like The Happy Trunk. Did I miss any? 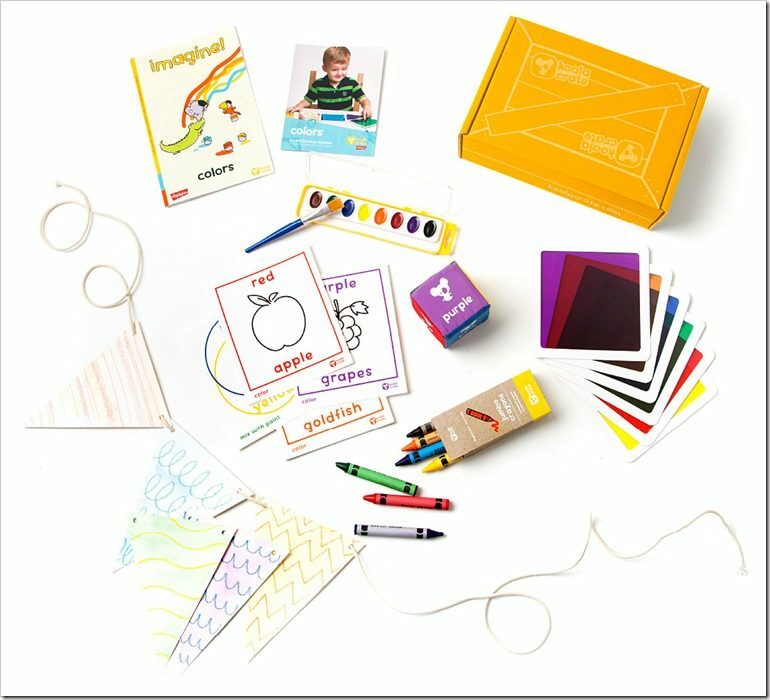 What are some of your favorite subscription boxes to spark kids’ imagination, creativity, and scientific thinking?